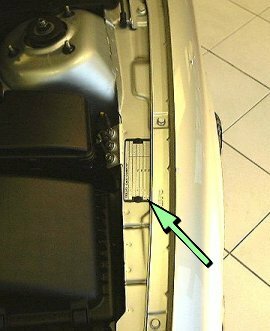 This information will help you to understand the information on the VIN plate of your Volvo car. On the nearside wing facing up on a metal plate held by two black rivets. Later models it has been located on the Right B pillar just under the rear door hinge in a black sticker format.